We ask that you arrive 10 minutes prior to your appointment time. It is easy to schedule an appointment to see one of our podiatrists at the Foot Centre in Wangaratta, Myrtleford or Benalla. Please call us on 03 5721 5100 and speak with one of the centre’s happy and helpful reception staff. We ask that you arrive 10 minutes prior to your scheduled appointment time so you can relax in our waiting room while completing the necessary paperwork. In general, we ask you to allow approximately 40 minutes for your visit to the Foot Centre in either Wangaratta, Myrtleford or Benalla. There is ample parking at all locations. If you have been referred to us by another practitioner, please bring any relevant documents with you to your appointment. Examples of relevant documents include; referral letters, X-rays, bone scans, diagnostic letters and Medicare referrals. It is also helpful to bring your usual or most regularly worn shoes and any current or previous othoses. Please remember to wear comfortable clothes and make sure trousers can be easily rolled above your knees if required. It’s really helpful to bring your usual or most regularly worn shoes. If you are a Department of Veterans Affairs card holder you may be eligible for free podiatric care. In return for our professional services, we expect payment at the time of your consultation. For your convenience we use the HiCaps system, which means if you have private health insurance that includes podiatry you can claim your benefits immediately. You can then just pay The Foot Centre by cash, cheque, credit card or EFT the ‘gap’ amount that your fund doesn’t cover. If you are a Department of Veterans Affairs card holder you may be eligible for free podiatric care. Please call and speak to one of our friendly reception staff to find out more. As of 1 July 2004, patients with a chronic condition or complex care needs can be referred to a podiatrist or allied health practitioner under a Chronic Disease Management (CDM) plan when referred by their general practitioner. Patients referred are entitled to five subsidised visits in a calendar year. The Foot Centre is happy to be a part of your CDM plans and looks forward to treating you once you have been to your GP and obtained the relevant referral. 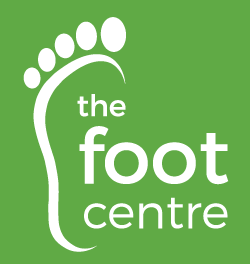 Any referrals accepted by The Foot Centre will be followed up with a report, so that your GP is kept informed of all relevant assessment findings and treatment plans. The Foot Centre is happy to be a part of your CDM plans and looks forward to treating you once you have been to your GP and obtained the relevant referral. When you become a patient of The Foot Centre a record is made with your name, address, contact details and other information such as the nature of the problem for which you sought treatment for or advice you were given. Every time you attend The Foot Centre or contact us by phone new information may be added to your record. The information we collect helps us keep up to date about your needs, so we can care for you in the best way possible. Your information can only be seen by professionals in this clinic involved in your care. We only release information about you if you agree or if required by law, such as in a medical emergency. We are committed to protecting the confidentiality of your record. The privacy of your information is also protected by law. We treat your information with the strictest confidence and store it securely. Please talk to one of our staff if you have any other questions or complaints about what happens to your information.